John Podesta and the imperial presidency. What’s all this about “checks and balances”? After Politico profiled John Podesta, Republicans pounced on the incoming White House counseler’s comparison of Republicans to the Jonestown cult. Your humble reporter-blogger suggested that they had missed the forest for a particularly stupid-looking tree—the more intriguing part of Podesta’s theory of Republican intransigence was that he wanted the executive to find more ways around Congress. Two days later, Mike Dorning is out with a more detailed story about Podesta’s ambitions. 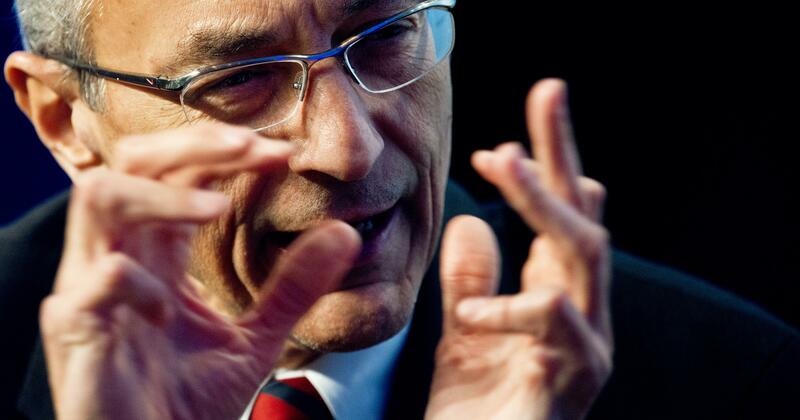 Less than two weeks after the returns came in, Podesta had compiled 47 pages of proposals for unilateral action on issues from immigration to solar energy. President Barack Obama’s ability to “accomplish important change through these powers should not be underestimated,” he wrote. Use his executive authority to require the Federal Employees Health Benefits Program to encourage private health insurers to promote payment reforms. and a lot more foreign policy stabs and environmental regulations, though the latter of those might hinder Democratic candidates for Senate in Kentucky and West Virginia. Robert Kuttner has another list, proposed around the same time as Podesta’s—the point is that there’s now someone sympathetic to this coming into the administration.